PLUS! We've enlisted a panel of ten powerful development execs, producers and agents to judge your entries. The Pitch Party winner will receive a chance to pitch the judge of his or her choice and will receive FREE Pitch Party Participation.  WHO'S JUDGING THIS THING? Director, Original Content, TELETOON Canada Inc.
Alan Gregg is Director, Original Content for TELETOON Canada inc. Gregg joined TELETOON Canada inc. in April 2010 and oversees original content development and production for TELETOON’s English and French networks and their respective multiplatform services. He also leads TELETOON’s Original Production team in Toronto and Montreal and works closely with TELETOON’s production partners across Canada. 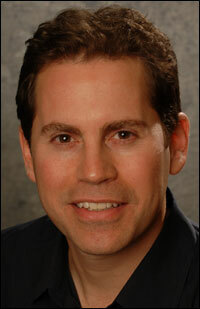 Gregg has 17 years of experience in the film and television industry. Prior to joining TELETOON, he story edited a new preschool series for Guru Studio. He also recently opened an office in Toronto for the Irish animation studio Brown Bag Films, where he oversaw the studio’s project and business development as Vice President, International Production. Additionally, Gregg spent several years in various senior roles at Alliance Atlantis’ Children’s Television division, last serving as Vice President, Production & Distribution. During this time, Gregg was responsible for the creative development of a number of properties, both animated and live action, including Henry’s World, Ace Lightning, Dragon Booster and Lunar Jim. 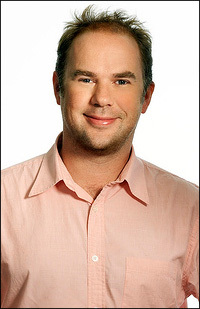 In addition to numerous other production credits that include Degrassi: Next Generation (Creative Executive) and Instant Star (Creative Executive), Gregg’s work has been recognized with a Gemini award for Dragon Booster (Best Animated Program) in 2005 and the 2003 Alliance for Children & Television award for Henry’s World (Best Preschool Animation). Barbara is an internationally respected children's broadcaster with experience in both Germany and Australia. As a key player in the establishment of award-winning German public children's channel KI.KA, she first took on the role of Commissioning Editor of Acquisitions and Co-Production before becoming its Deputy Head in 2000. Well known in the international production community, Barbara has also worked for Germany’s ARD affiliate Sender Freies Berlin in the Family TV Department where she produced programs for children, teenagers and family audiences. 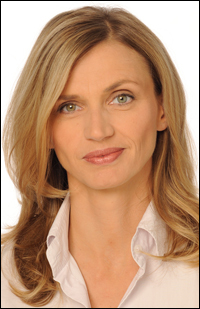 In 2005, Barbara became head of Family, Education & Nature TV Programs for ARD's affiliate, Hessischer Rundfunk. Currently, she holds the position of Head of Programming and Acquisitions, Children's TV, at the ABC, Australia's public broadcaster. Kevin Gamble is a top creative executive in CG animation and new media who joined Disney with 12 years experience, most recently as VP, Production & Creative for Classic Media. Gamble is responsible for the development and production of new animation shorts and series geared toward kids, tweens and families on Disney Channel, Disney XD and multi-platforms reaching hundreds of millions around the world. He also oversees the recruitment of new artists, directors and writers, and will collaborate with the Talent and Music departments. Gamble has been working in animation since 1997. He spent six years at Canada's Mainframe Entertainment, working on such groundbreaking projects as Reboot, television's first CG animated series. He was also producer of Mattel's CG series Max Steel. From 2005-06, he was Director of Development for the Canadian animation company Nerd Corps, where he developed the CG animated series Storm Hawks. He also produced the latest version of George of the Jungle, a modern re-invention of the classic J. Ward series. As VP of Production & Creative for Classic Media, Gamble oversaw its TV and DVD projects. While there, he was Producer of the upcoming Flash DTV movie Kung Fu Magoo, as well as several upcoming CG series based on Classic Media properties. Co-creator of Tiki Bar TV, one of the web's first video podcasts, Gamble has appeared on leading webcasts including This Week in Tech and Diggnation. He won his first film festival at 13 with the short film Math Time. Kim joined Cartoon Network in 2002, soon after Adult Swim launched. She heads up the programming department in addition to scheduling stunts, premieres, specials and creating the lineup for adult swim. She helped develop Robot Chicken, The Venture Brothers, The Drinky Crow Show and Tom Goes to the Mayor. Manning acquires shows for Adult Swim - anime (Bleach, Fullmetal Alchemist, Death Note) and more recently British Comedy (Mighty Boosh, Look Around You, The Office). Xeth Feinberg is an independent animator, cartoonist and chief honcho of his very own micro-animation studio, Mishmash Media, Inc., currently located in a small riverfront farmhouse within striking distance of New York City. 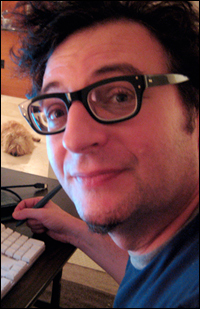 A pioneer of web animation, Xeth is the designer and director of some of the first online cartoons anybody ever liked (including Bulbo and Hard Drinkin' Lincoln) many examples of which can still be seen floating around the web and at XETH.com. As "just a guy who likes to make stuff" he has used his story-telling and drawing skills to create his own projects and also bring the ideas of award-winning writers and a wide range of clients to fruition. In 2006, Xeth designed and directed Paramount's flash-animated feature film Queer Duck: The Movie from a room in his Lower East Side apartment. His eclectic career includes stints as a story artist on Blue Sky's Ice Age and Robots, children's book illustrator, on and off-line political cartoonist and a very obscure musician. Working outside The System, Xeth continues to prove that it's possible... and that The System doesn't really care one way or the other. 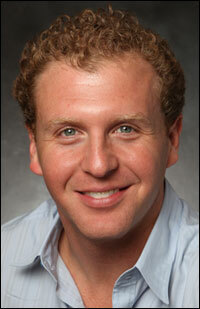 Scott Landsman is vice president, original programming & development, for COMEDY CENTRAL. He is responsible for the development of scripted and unscripted projects on the west coast. Landsman was one of the executives in charge of production on the hit series Drawn Together as well as numerous animated pilots. 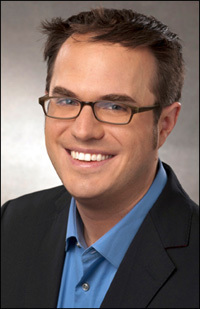 Landsman joined COMEDY CENTRAL in 2004 as director, current programming, was named director, original programming & development in 2006 and was promoted to vice president, original programming & development in 2007. He holds a BA in Journalism from the University of Wisconsin - Madison. Sharon Levy is executive vice president, original series and animation for Spike TV. Based in Spike’s Los Angeles offices, Levy oversees production and development for all of Spike’s expanding portfolio of original series and the network's slate of original animation. 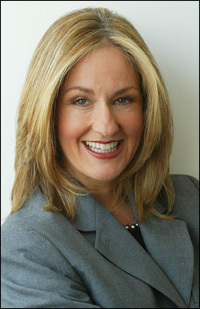 Since Levy joined the network in 2005, she has played an integral role in Spike TV's growth and expansion into the original programming world. Her brand-defining original programs include the highly successful series including Deadliest Warrior, Pros vs. Joes, 1000 Ways to Die, MANswers, 4th and Long, DEA, MXC and the highly successful weekend afternoon auto-related shows, The Power Block. Prior to joining Spike TV, Levy worked at Stone & Company Entertainment (formally known as Stone Stanley Entertainment) from 2000-05 as Vice President of Development. She was responsible for creating, developing and/or served as executive consultant for a number of broadcast and cable series, including ABC's reality series Mole, WB's Popstars, and Spike TV's hit faux-reality series, The Joe Schmo Show. Levy also produced programs for Fox, WB, Comedy Central and MTV. From 2000-2001, Ms. Levy served as director of public relations at Comedy Central in Los Angeles where she launched publicity campaigns for the hit series, The Man Show and South Park. Previously, she was senior publicist at Sci-Fi Channel from 1999-2000, where she worked on Mystery Science Theater 3000. Levy was also a publicist at Comedy Central, based in New York, from 1994-1999. Levy graduated from SUNY Albany with a B.A. degree in European History. 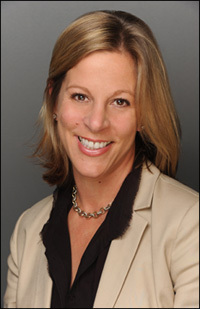 Ellen Goldsmith-Vein founded The Gotham Group in 1994 and quickly grew it into the largest representation firm in the world focusing on creative talent in the animation and family entertainment business. Recognized as the powerhouse management firm in the animation industry, The Gotham Group boasts a roster of over 250 top directors, writers, producers, illustrators, artists and content creators, providing a full range of services in both live action and animated feature film and television including packaging, corporate consulting, strategic career planning, children’s programming, prime time television series, and animated and family entertainment content for emerging new media. This past year saw Goldsmith-Vein dramatically ramp up Gotham Group’s production arm in both features and television. Currently Gotham is producing a feature film based on client Doug TenNapel’s graphic novel Creature Tech at New Regency with Forrest Gump producer Wendy Finerman; The Devil You Know with Shawn Levy’s 21 Laps Entertainment at Fox; The Spiderwick Chronicles, for Paramount to be released in February 2008 and based on the recently published best-selling series of fantasy books written by Holly Black and Tony DiTerlizzi. On the television side, Gotham is executive producing Creature Comforts with Aardman Animations and Academy Award winner Nick Park (Wallace & Gromit: Curse of the Were Rabbit) which airs on CBS in June 2007. Dominating the animation and family entertainment fields and rapidly expanding their reach into all aspects of the entertainment industry, The Gotham Group is uniquely positioned to create career opportunities for its diverse range of A-list clientele. Among these clients are such major talents as John Williams, producer of Shrek; vanguard writers/directors Tim McCanlies (Secondhand Lions) and David Gordon Green (Pineapple Express, George Washington); writer John O’Brien (Cradle 2 The Grave, Starsky & Hutch); breakthrough CGI director Ralph Zondag (Dinosaur); stop-motion innovator Henry Selick (James and the Giant Peach, Tim Burton’s Nightmare Before Christmas); and widely celebrated writers Billy Frolick (Madagascar), Chris Cleveland and Bettina Gilois (Glory Road, The Hurricane), Joel Cohen and Alec Sokolow (Evan Almighty, Toy Story, Cheaper By The Dozen), Chris Viscardi and Will McRobb (Snow Day, Tale of Despereaux, Measle and the Wrathmonk). Brian E. S. Jones is manager, action adventure series for Cartoon Network. In this capacity, he is responsible for overseeing such hit series as Generator Rex, Ben 10: Ultimate Alien, Transformers: Animated, Ben 10: Alien Force, and The Secret Saturdays. He also takes pitches and develops animated properties on behalf of the network for greenlight consideration. Jones is based in Burbank, CA, and reports to Tramm Wigzell, vice president, action adventure for Cartoon Network. 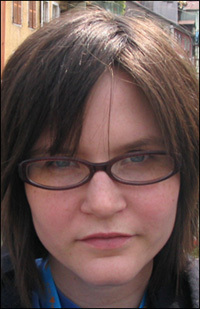 Jones started as a programming assistant for Cartoon Network in 2004. In 2006, he was promoted to coordinator, alternative platforms where he helped launch CN Video and Toonami Jetstream sites by selecting programming for those sites as well as CN Mobile, CN Video-On-Demand and Boomerang Video-On-Demand. 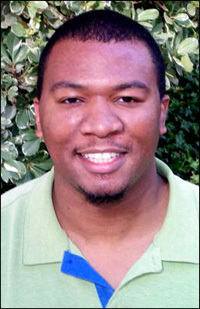 Jones joined the current series department as an assistant manager in 2006 and was promoted to manager, action–adventure series in 2009. Jones also oversees Sym-Bionic Titan, a new animated series from Genndy Tartakovsky which is slated to premiere in July 2010. Jones graduated from the University of Georgia in 2002 with a Bachelor of Arts in Journalism (ABJ) and Telecommunication Arts – Production. Michael J. Vogel is the head of boys animation programming at Hasbro Studios, the Los Angeles-based production division of Hasbro, Inc. (NYSE:HAS). Seasoned in the animation realm, Vogel has worked on numerous award-winning and Emmy nominated series. At Hasbro Studios, Vogel is bringing some of Hasbro’s most action-packed brands, including Transformers and G.I. Joe, to life on the small screen with G.I. Joe Renegades and Transformers: Prime. Both will air on the new television network The Hub, a joint venture between Hasbro and Discovery Communications (NASDAQ: DISCA, DISCB, DISCK). Vogel works closely with Hasbro Studios producers, writers and artists, as well as independent entities, to re-imagine, reinvent and reignite these beloved brands. Additionally, Vogel spearheads the expansion of the toy company’s newest brands, providing an entertainment component to each. Prior to his current post, Vogel served as director of animated programming at Sony Pictures Entertainment, where he oversaw development and current programming for television animation. There, he worked on numerous animated programs, including the Emmy nominated Jackie Chan Adventures, Stan Lee’s The Spectacular Spiderman for Kids WB, as well as the Peabody Award-winning The Boondocks and Sit Down Shut Up. Vogel received a Bachelor of Arts in both Theater and Art at Florida State University. He resides in Los Angeles, CA.  AND WHAT DO I WIN? (here's a big list of everything you could get just by entering). 1/6th page in the August edition of Animation Magazine, distributed to readers in over 100 countries with bonus distribution at the San Diego Comic-Con. A high-powered panel of development execs and producers will personally evaluate your pitch. If you win, you get to pitch your idea to the Judge of your choice. Plus! You'll get editorial coverage in our August edition. If you win, you get FREE Pitch Party Participation. If you come in second or third, you'll get editorial coverage in our August edition. We also run a STAFF PICKS contest. So if our staff picks you, they'll write about why you won in our August edition. We run an ONLINE READERS' POLL using your 1/6th page ad. So for one week your ad will be online and oggled by more than 100,000 unique visitors. AND! You guessed it! We also write about the winners of the online poll in our August edition. (Don't worry, we monitor our ONLINE READERS' POLL carefully. No reader can vote more than one time!) The Online Reader's Poll begins on or about June 10.  HOW DO I ENTER? • Adobe Photoshop Files - Images should be in Mac format as TIFF, EPS or Photoshop file (if EPS or Photoshop file include Fonts). Images should be either Bitmap, Grayscale or CMYK. NO RGB or Indexed Color. Resolution should be 300dpi. • InDesign Files - Include all used images, printer and screen fonts. Include a PDFx-1a including bleed and cropmarks with your submission. • Adobe Illustrator Files - Convert all fonts to outlines and save as EPS. Do not leave fonts embedded. If this can’t be done, send printer and screen fonts with your file. Fonts need to be stuffed. 3) The entry fee is $375. Ask about our special student discounts. 4) Materials and payment are due by June 7. How Do I Protect My Idea? Well, the easiest answer is "by entering the Pitch Party." If you're pitching your idea in our magazine then your idea has appeared in print with your name attached; your idea is no longer floating around out in the ether for anyone to pick up. To further protect yourself though, we suggest registering your idea with the Writers Guild. Go to www.wga.org for more info. WHAT KIND OF STUFF CAN I ENTER? Anything! As long as your idea has the potential to be animated, you can enter a television series, movie, game, whatever! As soon as our August issue hits the newsstands, around July 1. We will also be hyping our winners online during the week of the San Diego Comic-Con, July 22-25 (www.comic-con.org). 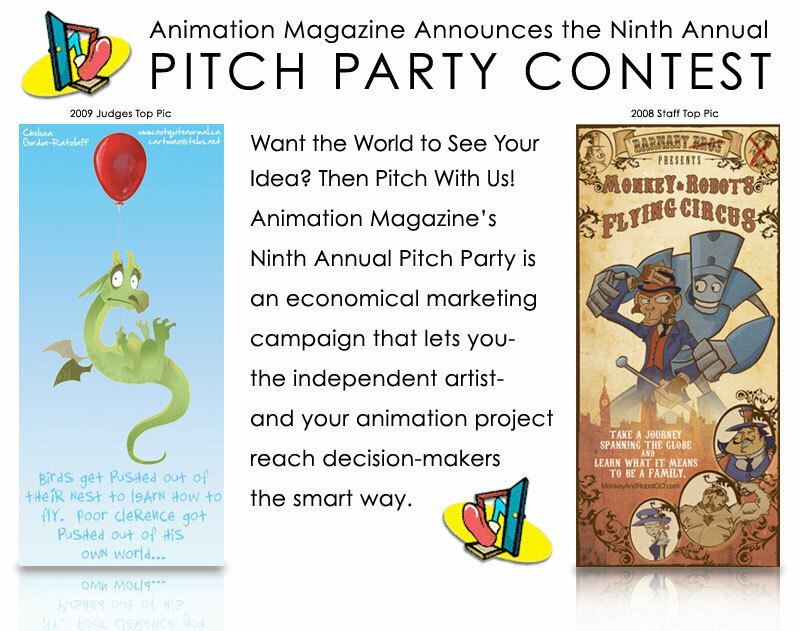 Animation Magazine is not responsible or liable for ensuring the images used in Pitch Party Participant advertisements are the property of the advertisers/participants.